Except for the functions of making phone calls and sending SMS messages, an iPod touch compares favorably with an iPhone. The iPod users have a preference for watching movies with their iPod touch than desktop computer since the iPod touch is released by Apple Inc. They can take it with them to wherever they go and whatever the time of the day such as when waiting for friends at the airport for a flight. Also, they are able to watch the TV shows on the iPod touch while they are in bed before going to sleep which brings lots of joy and relaxation. Besides, they can shoot some videos under any circumstances for memorial. For example, they can record a view when they attend a debut show of a movie casting by their favorite actors or actresses. But sometimes unpredictable reasons can lead to the loss of the videos such as a system update or virus attack. You may mistakenly tap the wrong button to remove the valuable videos on your iPod touch. So in order to retrieve the lost videos, you need to get the professional recovery program. In this article, we will show you a powerful iPod video extractor tool to help you extract the deleted movies and videos from your iPod touch to the computer easily. Extracting deleted iPod movies is like a piece of cake with the aid of MobiKin iPod Video Extractor (Win/Mac). It also allows you to restore other iPod data like music, photos, contacts, messages, books, voice memos, notes and more on your personal computer. Now you can have a try by downloading a free trial version below. Connect your iPod touch to the computer via USB cable, and then launch the program. Choose the mode "Recover from iOS Device" if you have jailbreaked your iPod. If not, you have to jailbreak your iPod first. Otherwise, the software can't detect your device. Follow the guide on the window to finish jailbreaking your iPod. 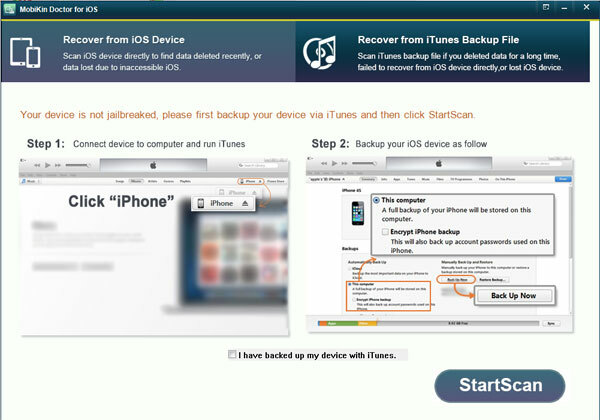 Then you can click "StartScan" to let the program scan your iPod touch. 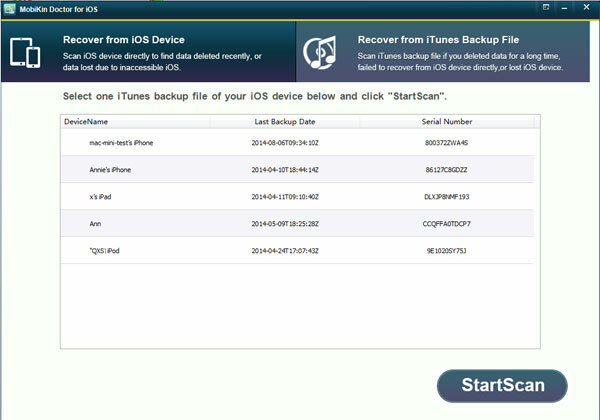 You can choose the other mode "Recover from iTunes Backup File" if you have backup in iTunes. Using this mode, you don't need to link your iPod touch to the computer. Pay attention to that. This is the interface of the second mode. At the time the software stops scanning your iPod, it will show all the information on the window below. To recover the lost or deleted movies and videos from iPod touch, you can click "Video" folder on the left column and preview the items on the right panel. Mark the deleted ones and hit "Recover" to extract them to save them on your computer. 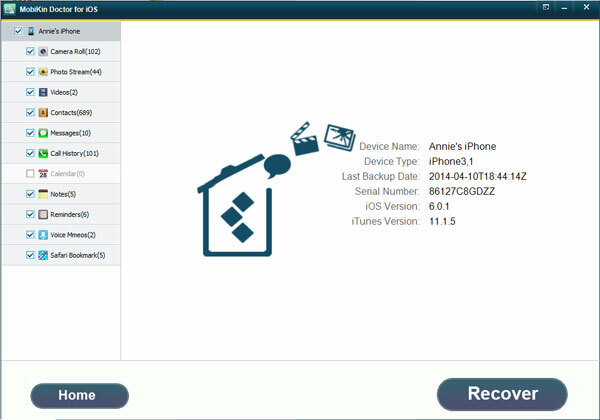 Note: In addition to the videos, the software enables you to restore other iPod data like music, photos and so on. Both Windows version and Mac version are available. Check it out. How to Unlock iPad without Passcode? 5 Ways to Solve It! How Can I Extract Lost Photos from iPod touch 5 to Computer? How to Extract Deleted Contacts from iPad Air/Mini to PC? Undelete iPad Videos - How to Undelete Videos on iPad Air/Mini/4/2 ?